What's the Best Heat Cable for Roof and Gutter Trace Applications? 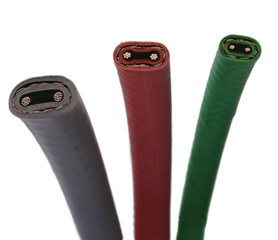 Most snow and ice melting applications are best served by using self-regulating heat cable. Radiant heat trace cables can be installed in roof gutters and drainpipes to keep your home safe from costly ice damage and frost erosion. Determining the ideal heat cable, thermostat and sensor depends in part on the size, type and construction of the roof, and also on the overall requirements of the particular installation. One of the best radiant heat solutions for melting snow and ice from roofs and gutters is self-regulating, parallel circuit roof heating cable. The advanced technology of this cable results in the most effective solution for basic roof, gutter and downspout heating applications, and is certainly the most efficient. The power output of the irradiated conductive core material increases or decreases in response to ambient temperature changes, making the cable safe and energy efficient. This effect occurs at every point along the length of the cable, allowing the heating element to adjust the power output to the varying conditions along the length of the gutter. Because of the self-regulating properties of the heat cable, it can be overlapped without creating hot spots or causing a burnout within the heating element. The self-regulating functionality of the heat cable ensures maximum energy efficiency by producing heat only when and where it is needed. The best roof heating cable offered by industry leading providers is UL recognized under the Appliance Wire Classification (file E 76498) and meets the requirements of Section 426 of the National Electric Code (NEC). It also features a heavy-duty construction so that it is capable of withstanding harsh winter environments. 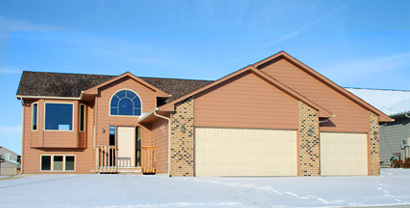 Radiant roof deicing systems can be customized to accommodate just about any roof type and configuration. An experienced radiant heat provider will look at each project individually without assuming one system will be the optimal solution. Make sure that you only deal with providers that include complete system design and layout services. This is vital for the success of your project. It's important to deal with experienced pros who will work closely with you and customize your system to accommodate the specific needs of your project. Roof heating systems are controlled by automatic sensors that activate the system when weather conditions warrant. Radiant roof heating systems have been installed in most cold regions around the country and are still the most effective way for preventing ice dams and protecting roof and gutters from ice damage. Some roof deicing systems such as RoofHeat STEP can be discreetly installed under shingles or other types of roofing, so you can't even tell it's there.